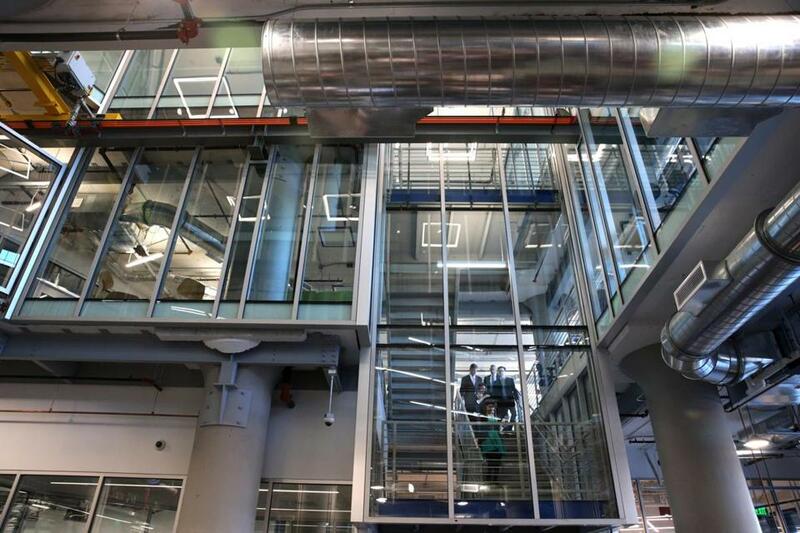 Mayor Martin J. Walsh (top left, on stairs) toured the new industrial workshop and innovation studio at Autodesk. 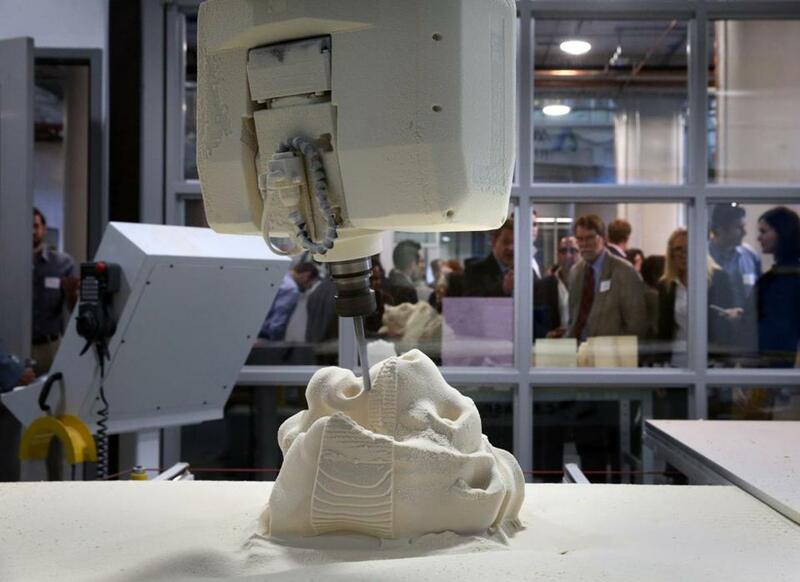 Autodesk held an open house Wednesday to show off its new industrial workshop and innovation studio in South Boston. The 34,000-square-foot work space, part of the industrial software maker’s offices at the Innovation and Design Building, is a toy room of tools and technologies for builders and designers. The space has 11 workshops and dozens of industrial-grade pieces of equipment, including robots built for the factory floor, 3-D printers, and a five-ton bridge crane. The open house featured a visit from Boston Mayor Martin J. Walsh. Autodesk hopes the facility will serve as an incubator space for startups and entrepreneurs, and as an R&D shop for companies in fields such as construction, engineering, and architecture. A router is used to recreate a lion head sculpture at the facility. 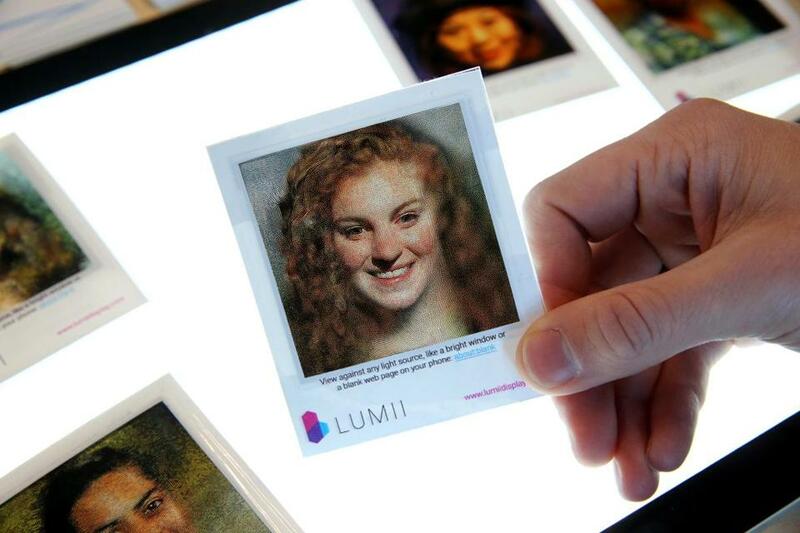 3-D data can be turned into two-dimensional prints. 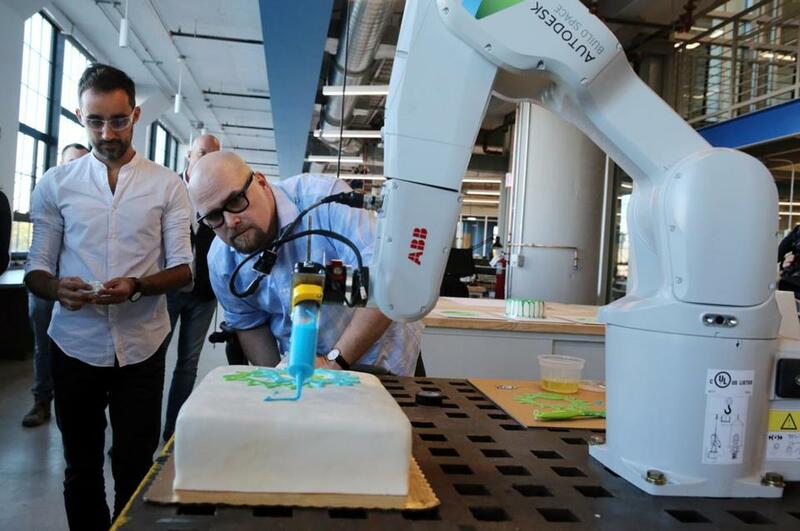 Jose Garcia Del Castillo (far left) and Michael Dewberry use a robotic arm to decorate a cake during a demonstration.